What: Epson America, Inc. and Food Online ordering Systems, will be demonstrating their joint solution at WestEX 2015. Attendees will be able to see how Food Online Ordering Systems’ online ordering system leverages Epson’s Omnilink® TM-T88V-i intelligent printer to better facilitate the restaurant online ordering process and improve sales. Epson’s smart printer, coupled with Food Online Ordering’s solution, creates one of the most efficient systems in the marketplace that works alongside any restaurant POS (point of sale system). Food Online Ordering’s affordable, in-house system, branded to their customers, can fully integrate with a restaurant’s POS system, website and online presence. Busy restaurants are able to get the orders in real-time without having to deal with faxes, emails, or tablets. 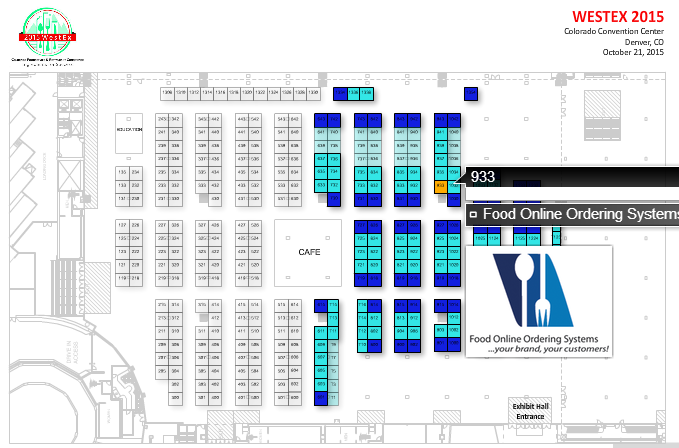 Food Online Ordering Systems will be offering customers a 90-day trial of the system with free setup at the show. Organized by the Colorado Restaurant Association (CRA), WestEX 2015 will feature restaurant professionals and business owners from the central western region partaking in group discussions and seminars. Topics to be covered at the event will include boosting restaurant sales with a strong online and mobile presence, using data to increase restaurant revenue, social media advertising, and cyber security measures for restaurants. A provider of online ordering solutions for restaurants, Online Ordering Systems’ food ordering system can stand alone as a website or be fully integrated into a restaurant or catering service’s existing website by simply adding an Order Online button. It can also be made available to customers as a branded mobile app for Android, iOS, Windows devices, or as an app on Facebook. The company can help build the code and design the best look working with the restaurant’s colors, logo, and photographs of its menu items and help set up secure payment portals. They also accommodate restaurant loyalty programs and can generate maps to allow customers to locate branches quickly. Using our food ordering system, customers can monitor the status of their delivery through SMS notifications, email, or app notification. You may also connect with Food Online Ordering Systems on Facebook (http://www.facebook.com/FoodOnlineOrderingSystems), Twitter (https://twitter.com/Folosinc), and YouTube (https://www.youtube.com/c/foodonlineorderingsystemsforrestaurants). EPSON is a registered trademark and EPSON Exceed Your Vision is a registered logomark of Seiko Epson Corporation. OmniLink is a registered trademark. All other trademarks and/or registered trademarks are property of their respective owners.